The most important day of your life, a day you will never forget the memories of which will bring joy to you and your family and friends. We know that on this special occasion, one of the most important decisions for any bride is her choice of wedding gown. 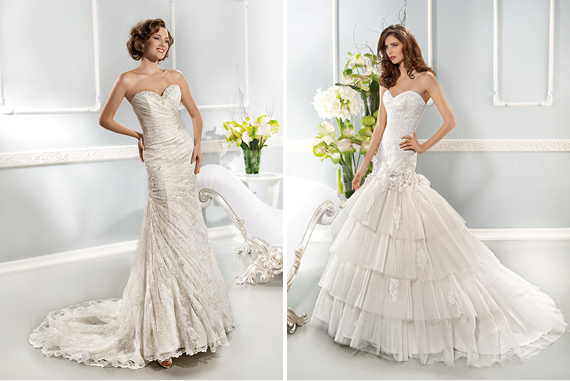 For that reason, Demetrios, have created a wide range of stunning bridal gowns and accessories with you in mind. Lady Marmalaide is sharing their collections with us today. You can choose from a wide variety of styles, from traditional romantic to modern and elegant silhouettes. Using the most exquisite fabrics and refined detailing coupled with master craftsmanship, you are guaranteed to shine like a star on this unforgettable occasion. The memories of your wedding day should be the most special and endearing!